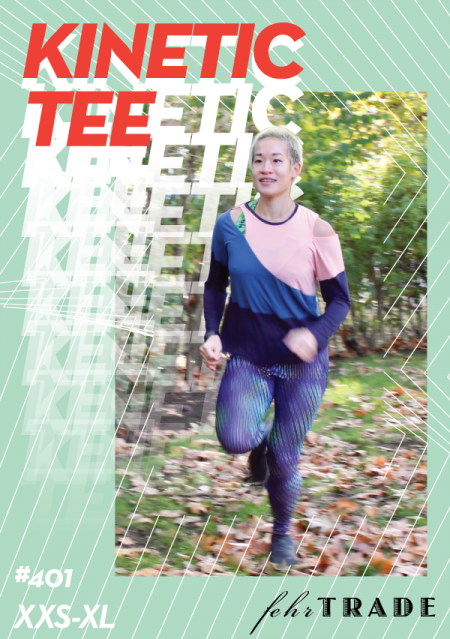 The Kinetic Tee pattern – out now! Please welcome our newest sewing pattern – the Kinetic Tee! This one has been so much fun to develop and draft – it’s an asymmetric tee but due to some (ahem) clever drafting, it’s quick to cut out AND to sew up, and feels really great and comfortable to move in, too. Move in a workout tee that really sets you apart from the team! This loose fitting asymmetric tee has plenty of interesting seaming in the front and back with slash openings at the left shoulder and right front clavicle. Choose from either a cut-on short sleeve, or dropped shoulder long sleeve in twisted or straight options. 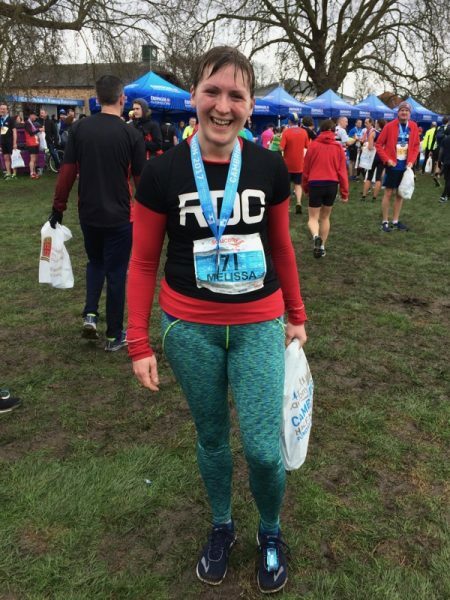 I absolutely love the Winter Base Layer for cold weather exercising – I’ve both run and cycled in mine and I get so many compliments whenever I wear them! But with a few simple steps you can also change both the sleeves and neck to make it even more versatile. 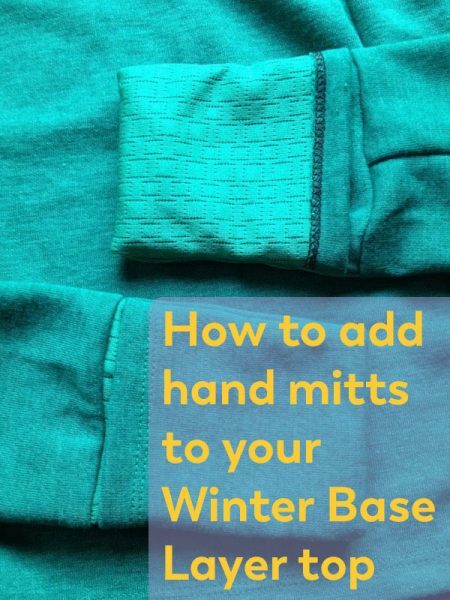 Today I’ll be showing you how you can use the hand mitts from the Surf to Summit Top pattern instead of the included thumb cuffs, and also how to extend the neckline into a turtleneck (aka polo neck) if you’d prefer. 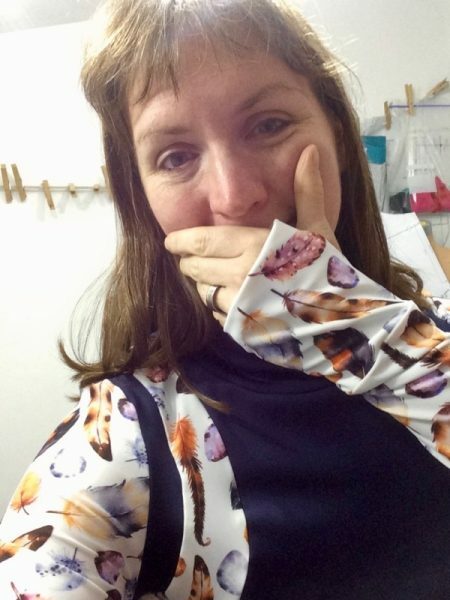 So I’ve already shown you two versions of the Winter Base Layer top but both are really similar, both in colourblocking and for using the exact same base fabric. But this design is so much more versatile than what you’ve seen so far, and I wanted my second version to be a little different! So I changed up the way I played with the colourblocking and used some different fabrics, and I love this version just as much as my merino one! 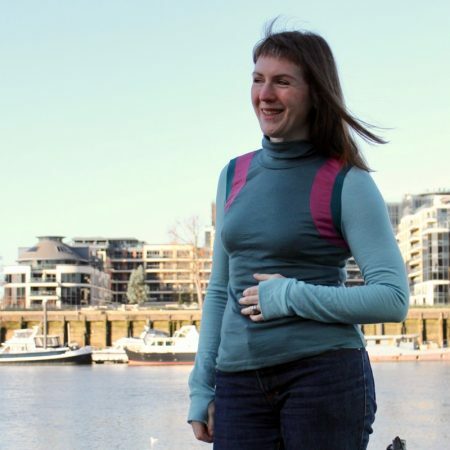 Yesterday I talked all about the version of the Winter Base Layer top that appears in my “Sew Your Own Activewear” book, and you can tell I really liked it because I ended up making myself one that’s almost identical!! As much as I love my athlete models (and you know I do!) it was tough gathering up such gorgeous activewear fabrics and then making all the book designs to the measurements of my models, not for me! So once I had a bit of breathing time and the weather cooled down a bit, I knew I’d need a few more versions of this top to add to my own running wardrobe. The UK release date for “Sew Your Own Activewear” is less than a week away – it’s out on Friday you guys!! I’ll be shipping out all the signed pre-orders later this week (as soon as I receive the books myself!) regardless of where you live, so some of you may be getting it a few weeks before everyone else in your country, you lucky darlings, you! I’m also throwing a bit of a launch party here in London on Friday night, so if you’re local and would like to attend, please leave a comment and I’ll send you the details – there’ll be complimentary punch plus the opportunity to buy signed copies on the night plus meet me and the athlete models from the book, too. And of course the dress code is activewear!! So with it being launch week, I wanted to choose one of my favourite designs to focus on this week – the Winter Base Layer top! It’s a fresh new week and it’s now the turn to look at the other design featured on the cover of “Sew Your Own Activewear” – the Yoga Bottoms! When I was developing this design I really wanted an easy-to-sew pair of leggings with features specifically designed for yoga and other activities which need a wide range of movement. 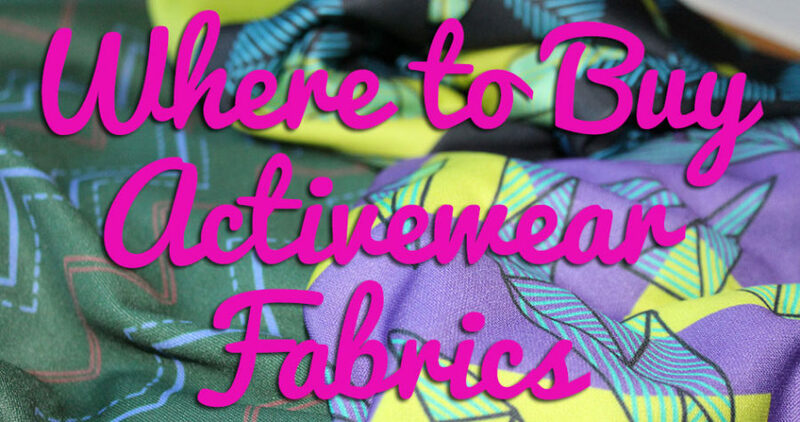 The other week I shared some activewear topstitching tips and gave you a peek at some Steeplechase Leggings I was working on at the time. Despite running most days of the week, I generally only have 2 or 3 big races every year, and for these I like to make myself something new to race in. This means I get to mark the occasion and make it feel a bit more special, reward myself for the months of training, but also it means that I always think of that race whenever I wear the top/leggings/shorts in training afterwards. 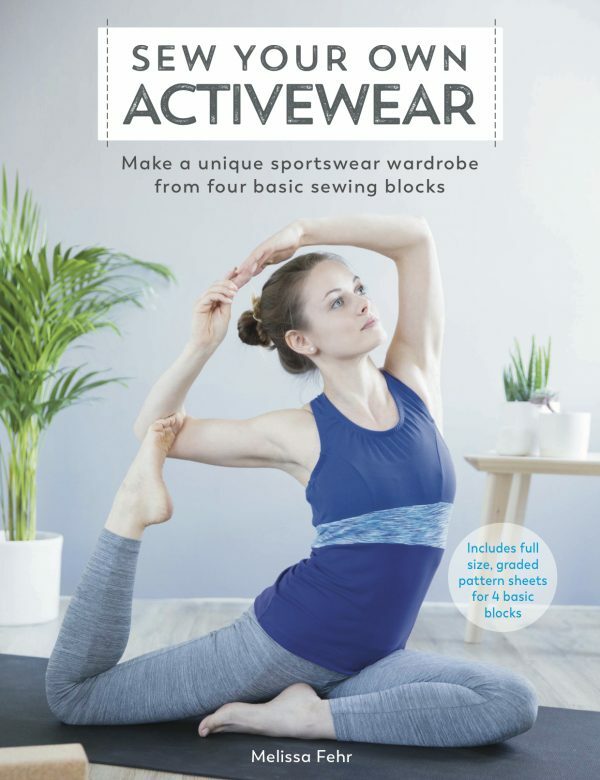 Thanks so much for all your congratulations on my activewear sewing article in the latest Threads magazine (issue 190). If you haven’t seen it yet, it should be on newsstands very soon – do go and buy it because (as usual!) there are a ton of really interesting articles included. Threads is a magazine I totally and fully respect, and I hold it in the highest esteem possible. 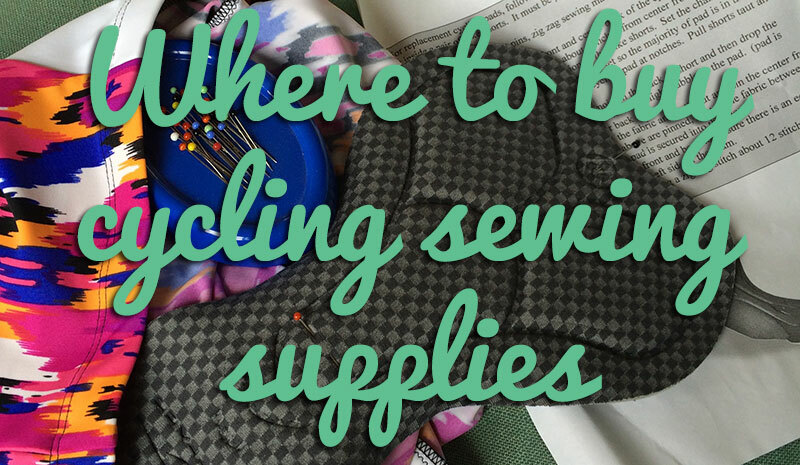 When I started sewing, the information and techniques it included was something I was in total awe of, and even now, I learn something new from every single issue. It’s a magazine that doesn’t “dumb down” and is unashamedly not aimed at beginning sewists, which is refreshing in itself! 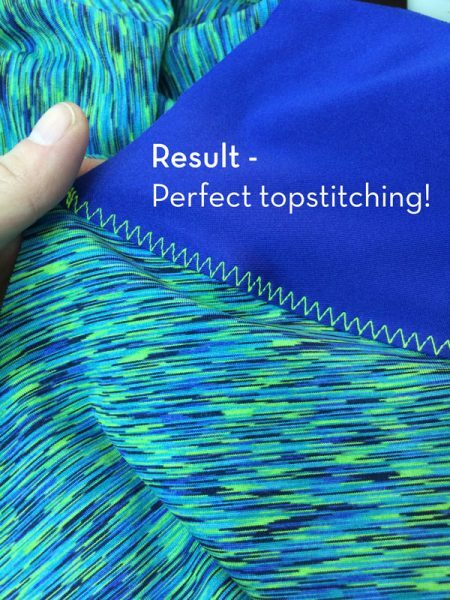 I’m sure some of you may know this tip already, but if you’re someone who prefers to topstitch down all your seams for your activewear makes, get yourself a roll of Prym Wonder Tape, stat. I’ve known about this stuff before, as I’ve seen other people use it for basting zippers in place, but I hadn’t realised exactly how great it could be for topstitching until I decided to give it a try on a pair of Steeplechase Leggings I’m sewing for Cambridge Half next weekend. Wonder Tape is essential double-sided, sticky, washaway stabiliser, and it comes in a narrow 6mm (1/4in) tape roll. You stick one side, peel off the backing, stick something to the other, and that’s it. No need to heat up the iron or anything and it comes out in the wash, leaving you with perfect topstitching. When I’d topstitched my seams before, I’d usually use pins (and always my trusty walking foot! ), but pins can make things lumpy and you’ve still got to constantly feel for the seam allowance underneath if you’re stitching around curves (like on the Steeplechase’s curved yoke yokes). This stuff just made it easy.